These would be great fun for a party or a kid's bedroom. 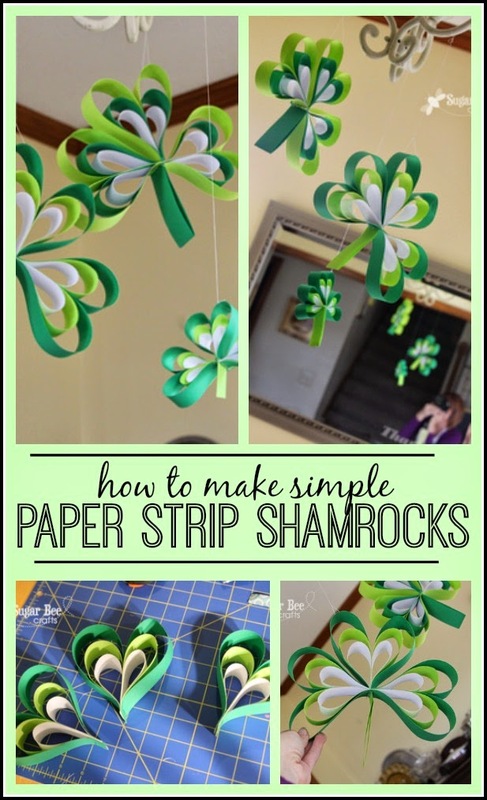 They're pretty easy to make, so the kids could have fun making these too. They would also look great in other colours - tonal or contrasting bright colours as a simple mobile to decorate a bedroom. Either paint your own jars, or look for green jars in op shops or discount stores. 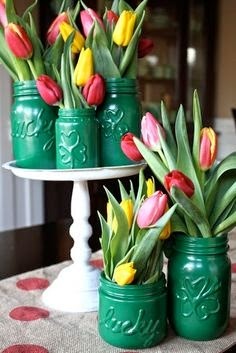 You could also decorate a clear glass jar with a green ribbon. Flowers with large green leaves (like these tulips) complement the 'green' look. 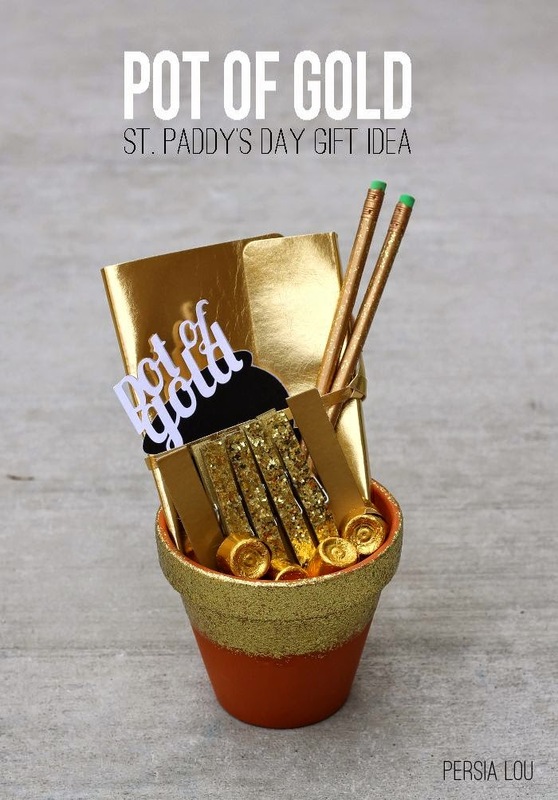 This would make a great Thank You gift or a fun present for someone whose birthday falls on St Patrick's Day. 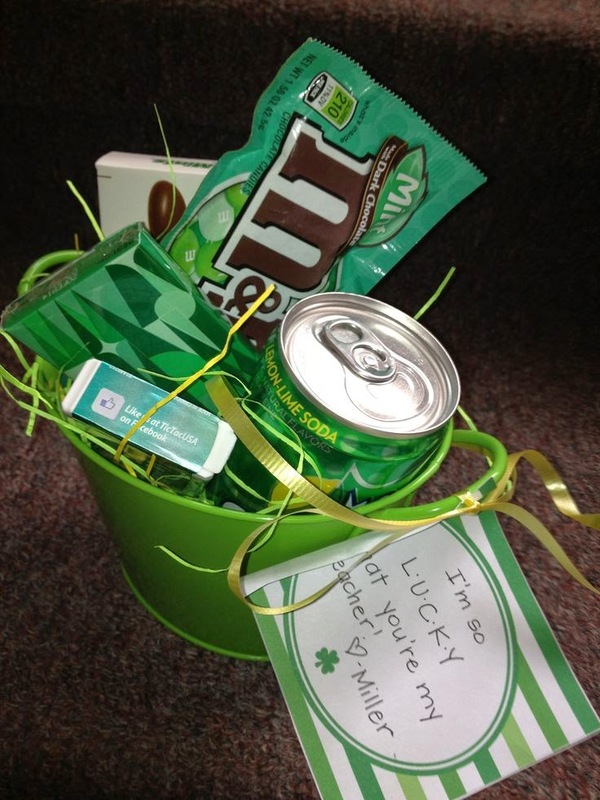 You could also take a larger version of this hamper to work to share with your work colleagues. Horseshoes are considered to be lucky (just make sure they are turned this way up - so the luck stays in them!). 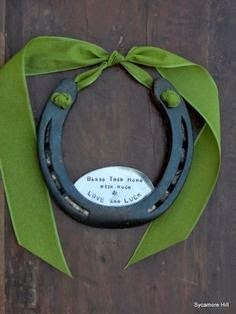 Add some green ribbon and a personal message and they make a beautiful gift to adorn a front door. 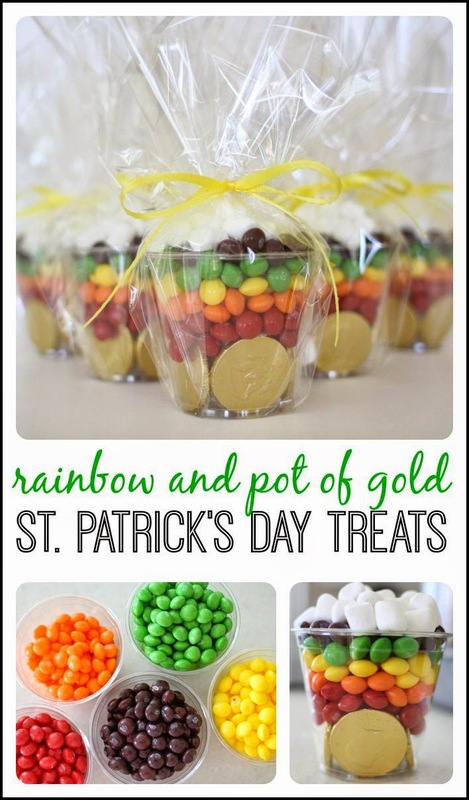 A few bags of coloured lollies, some gold coins, a glass (a clear plastic cup is better for kiddies), some cellophane, and ribbon is all that's required to make these fun little lolly pots. These would be great fun for kids to make with/for their friends - just expect a few lollies to go missing before they make it into the glass! 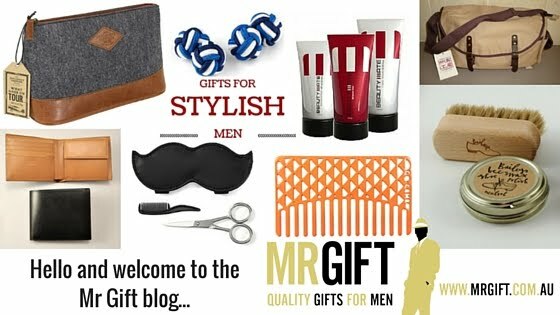 Which St Patrick's Day gift idea do you like best?